7/30/10 – The “Hang On Sloopy” Cat Fight! “Hang On Sloopy,” which has become the official State Rock Song of Ohio is this week’s feature on the Friday Night Cat Fight Podcast. We’ll start with the original version (“My Girl Sloopy”) by The Vibrations and follow that with 6 other mostly hit versions of the tune, including the McCoy’s #1 version from 1965. 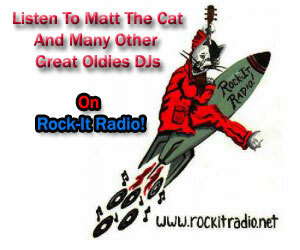 So listen to the show, hear the varied versions and decide for yourself which one you DIG the most! Then vote below. Which One Do You DIG The Most? - "Hang On Sloopy"
7/23/10 – “You Are My Sunshine Cat Fight Royale! This week’s Cat Fight is a battle royal as 10 different versions of the classic tune, “You Are My Sunshine” battle it out. Now, 10 are in competition, but this podcast contains 18 1/2 different versions of the tune, so stand back! For many years, country music legend and former governor of Louisiana Jimmie Davis claimed to have written “You Are My Sunshine,” but the reality is that he bought it off of Paul Rice of The Rice Brothers Gang (who cut their version in 1939). Listen to the show to hear many unique versions of the song ranging from country to pop to R&B and soul. Pick the one you dig the most and vote for it below. Which One Do You DIG The MOST? - You Are My Sunshine"
This week’s Friday Night Cat Fight takes on a classic folk tune and shanty, “The Sloop John B.” It began as a Bahaman folk tune and was first recorded by archivist Alan Lomax in 1935. From there, groups like The Weavers, Kingston Trio and The Beach Boys made it a part of popular culture. 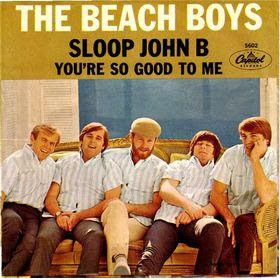 Listen to all five versions of the “Sloop John B” that are in competition this week and vote for the one you dig the most. Which One Do You DIG The MOST? - "Sloop John B"
This week, the Friday Night Cat Fight takes on a song about the “American Dream” that was a hit for Jay & The Americans in August of 1963. The tune was originally presented to and recorded by The Drifters. However, Atlantic didn’t feel that they could release a tune that spoke of opportunity for all by a black group at that time. Now, it’s your turn to judge who had the better song. Listen to the Cat Fight and vote for your favorite version of “Only In America” below. Which One Do You DIG The MOST? - "Only In America"